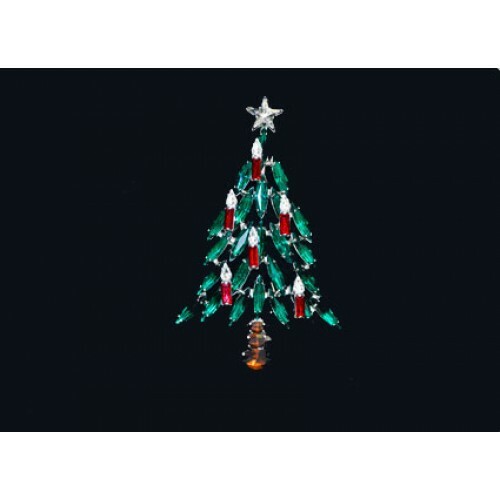 At the Christmas Sleigh, our goal is 100% customer satisfaction. We will always sell the highest quality merchandise. We will always stand behind our products. 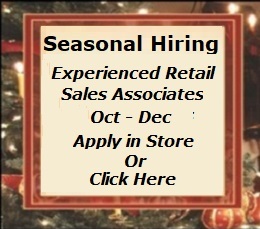 If you have specific requests for products that you cannot find on our website, please contact us for assistance. 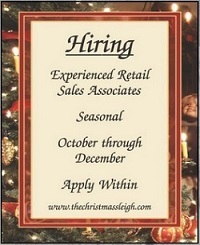 And, as always, we thank you for shopping at The Christmas Sleigh! 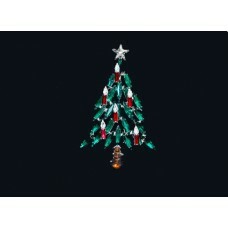 with color and the workmanship is excellent. A brooch you will treasure for years to come. 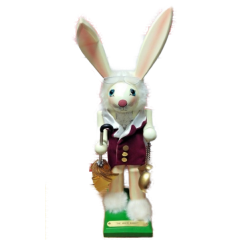 $375 White Rabbit Alice in Wonderland Steinbach Wood Nutcracker . From the Alice in Wonderland series - Size: 17" tall. Handmade by Christian Steinbach Hohenhameln Germany. .. Traditional Motif Paper Mache Candy Holder "Bunny Mom and Daughter"
$42 "Bunny Mom and Daughter" Size 13" x 12" x 17" tall. 17" tall with lined paper interior with decorative paper fringe. Makes a great traditional Easter Basket for the same child year after year! 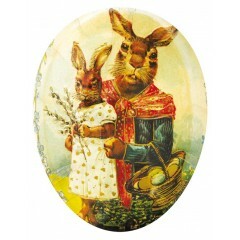 ..
Hasen - Land. How cute is this? 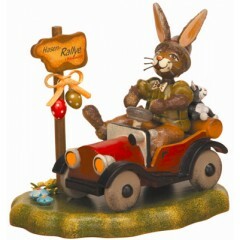 This Rabbit is on his way to the Rabbit Rally and you just know he is going to have a ball. Hubrig invites you on a journey through a colorful, colorful realm of "wooden little things"! These are miniatures with attention to detail developed, turned with skillful hands of local wood and painted with a fine brush. Size: 3 3/4" tall or 10 cm tall. 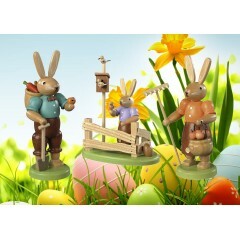 ..
$99 This special set includes the following pieces: 42157 - Bunny Girl Gardener 42159 - Bunny Boy Gardener 42195 - Bunny Girl at Birdhouse Save over 25% and start your own collection of Mueller Easter Bunnies! - Please note, this special discount set has a small imperfection - Item #42195 - is missing the bird shown in her hand. 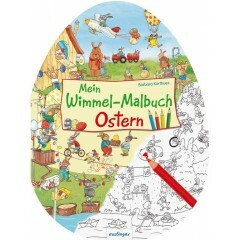 - Following the tradition of the region, Erzge..
$8 NEW Mein Wimmel-Malbuch – Ostern My Bunny Coloring Book - Easter Paperback 28 pages Recommended Ages 4+ This delightfully egg shaped coloring book makes a perfect addition to any Easter basket. Detail oriented illustrations are perfect for creative kids and are sure to keep them busy. Join the Easter bunnies throughout their day as they decorate eggs, fish in the riv..